A thrilling night of upbeat, old-school Americana music comes to the Cobb Great Hall stage: the critically acclaimed roots-infused band DUSTBOWL REVIVAL comes to Wharton Center on Thursday, November 1, 2018. Tickets are available online; at the Auto-Owners Insurance Ticket Office; or by calling 1-800-WHARTON. 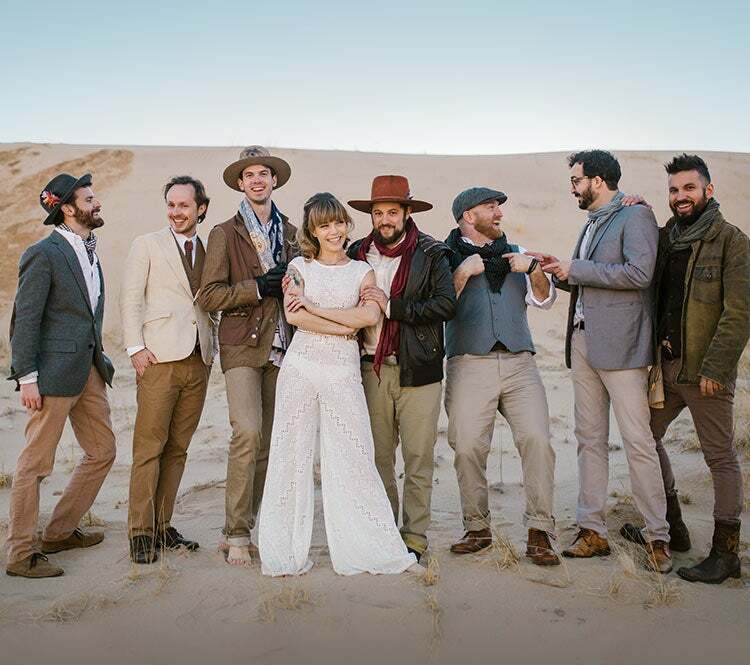 The eight-piece Los Angeles-based group DUSTBOWL REVIVAL has been captivating audiences with their classic, all-American swing tunes for the past decade. Now, they grace Wharton Center’s stage for the first time with their newly refined tunes, featuring New Orleans style swing mixed with bluegrass gospel. Each song from their new album elicits the work of such classics as Fleetwood Mac, Paul Simon, Aretha Franklin, and slots the band alongside modern groups such as Nathaniel Ratleiff & the Night Sweats and St. Paul & the Broken Bones. This eight-member band has quickly climbed the ranks to be one of the most notable grassroots bands. Named Best Live Band in LA by LA Weekly, DUSTBOWL REVIVAL creates a musical adventure with every performance. Their song “Dan’s Jam” won the Independent Music Award for Americana Song of the Year in 2010. Since then, the band has been working with Grammy Award-winning producer Ted Hutt, founding member of Flogging Molly, who is also known for his work with the acoustic group Old Crow Medicine Show. Santa Cruz Weekly sums up the ensemble immaculately by saying, "The group is like a band of time-hopping vagabonds swirling through the centuries picking up and passing along tunes that make you want to swing, stomp and reel."